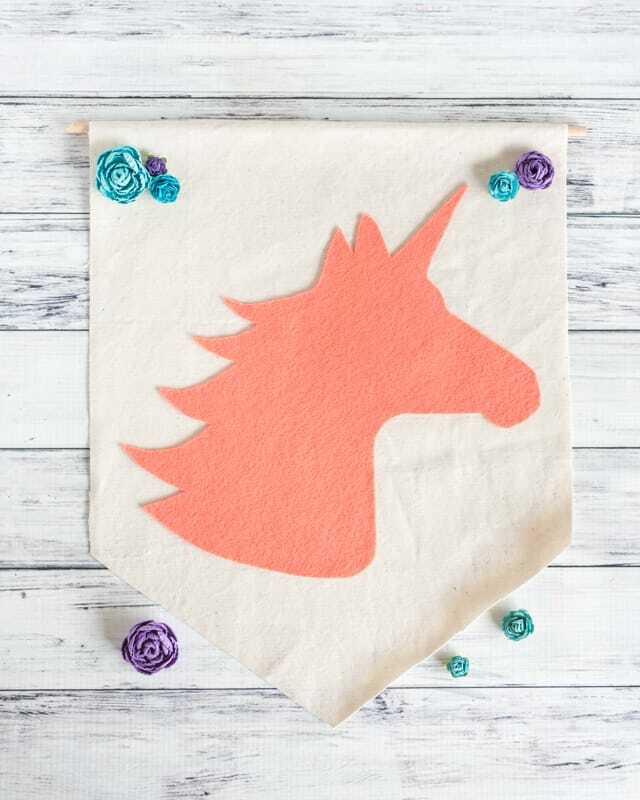 This cute, no-sew unicorn banner is so easy to make with a free printable unicorn pattern! 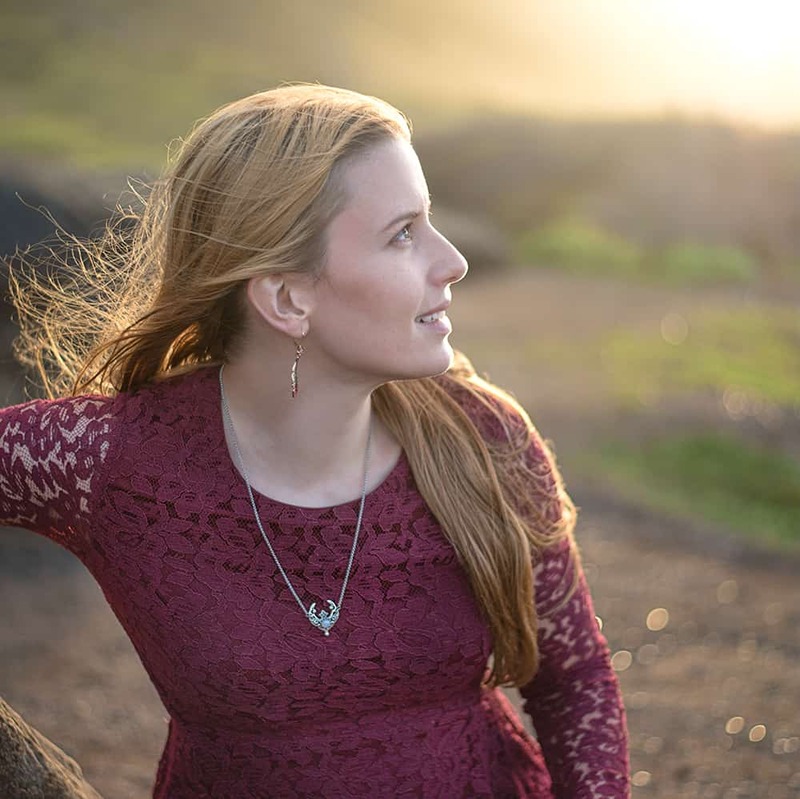 11″x16″ of fabric for your banner or a pre-made banner blank like this. 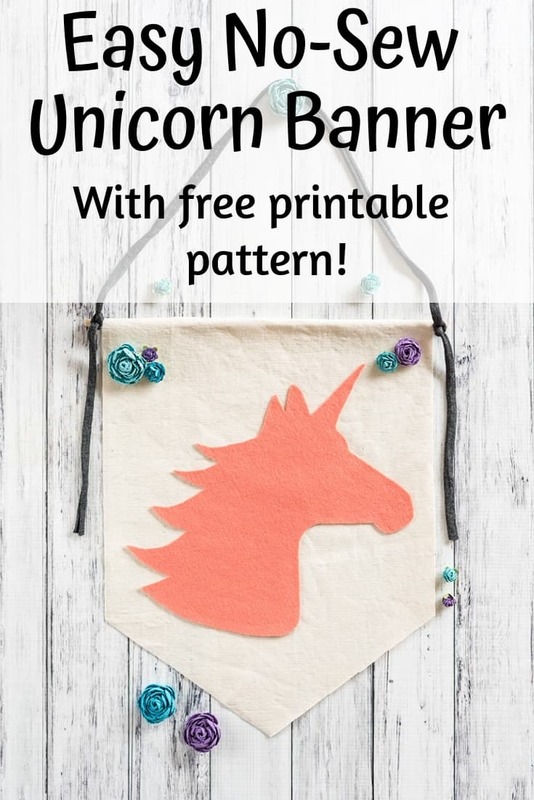 All the banner blanks I’ve seen are a little large for the unicorn silhouette I created, so you could either put two unicorn heads on one banner or simply cut the banner down if you go the pre-made route. I used natural-colored canvas duck from my local fabric store and the banner template provided with this tutorial! You could also use a large piece of felt for your banner instead of woven fabric. A piece of felt in your desired unicorn color. I highly recommend using wool felt because it’s nicer and more durable, but acrylic craft felt is less expensive and easy to find at virtually any craft store. Fabric glue or Original Tacky Glue. I’ve personally had better luck with Tacky Glue and felt than with ‘regular’ fabric glue. Embellishments – optional. You might want to attach sequins to your banner, hang tassels or pompoms from the dowel, add flowers, etc. This is totally optional and up to you! Fray check – completely optional and only needed if you want to be sure your edges won’t fray. 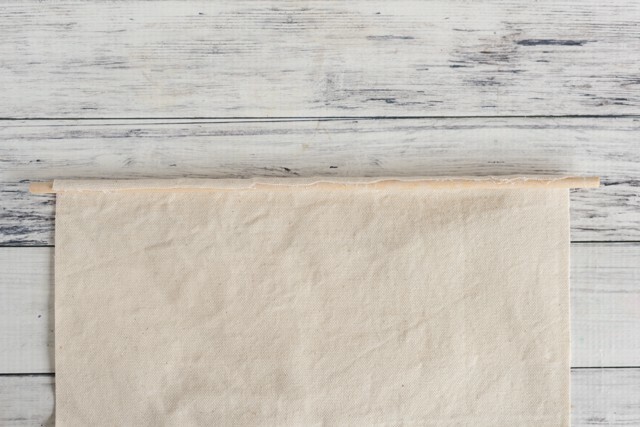 If your banner is just being displayed on the wall, unless you use a particularly fray-prone fabric, fraying shouldn’t be a problem. And, okay, because I’m a sewing nerd, I have to mention that you could absolutely use embroidery floss and embroidery needled to appliqué your unicorn head to the banner instead of gluing it. Update: I don’t know how I lived without silicone finger protectors for as long as I did! I don’t even know how many burns I could have prevented with these inexpensive finger caps. 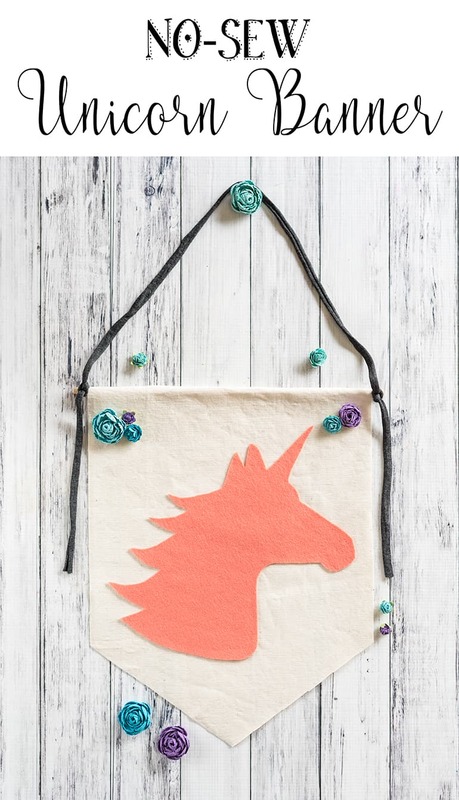 Print your pattern and cut out the unicorn head silhouette. 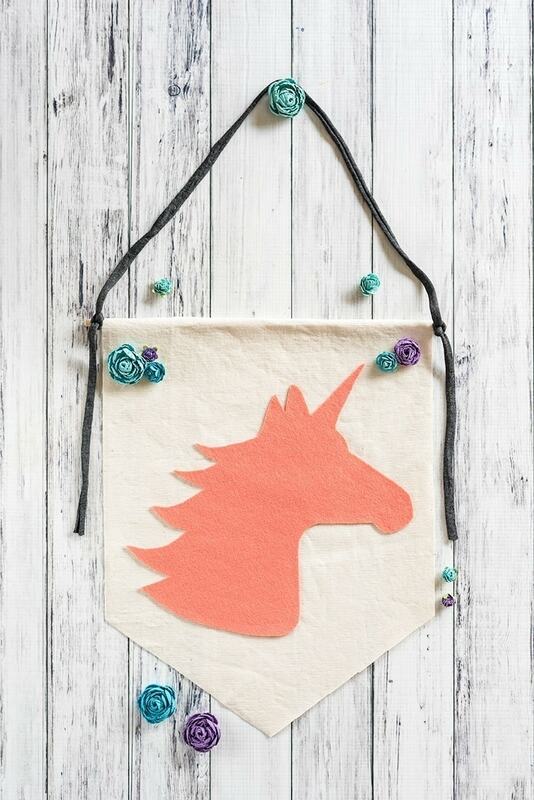 In case you missed the link above, you can download your unicorn banner pattern right here. 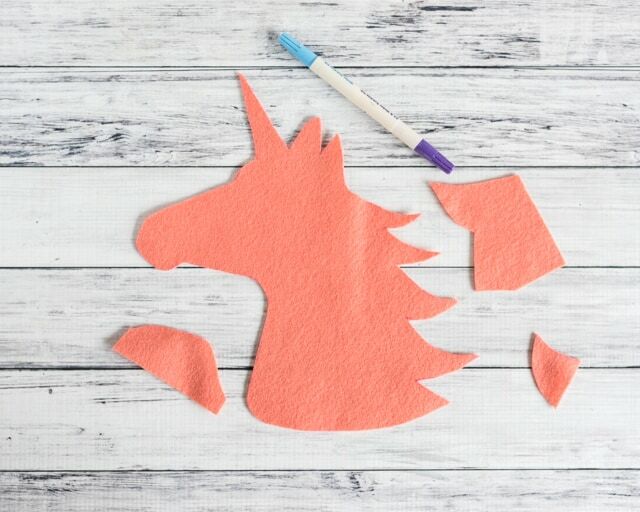 Trace the unicorn onto your felt and cut out. Cut the point on the bottom half of the printable page, making sure you cut all the way to the edge of the paper (if you don’t have borderless printing, the line won’t print all the way to the edge). Take your ‘extra’ sheet of paper and align one long edge along the straight line on your printed page. Tape in place. Trace your banner pattern onto your banner fabric and cut out. I highly recommend ironing your fabric before tracking/cutting if it’s wrinkly. 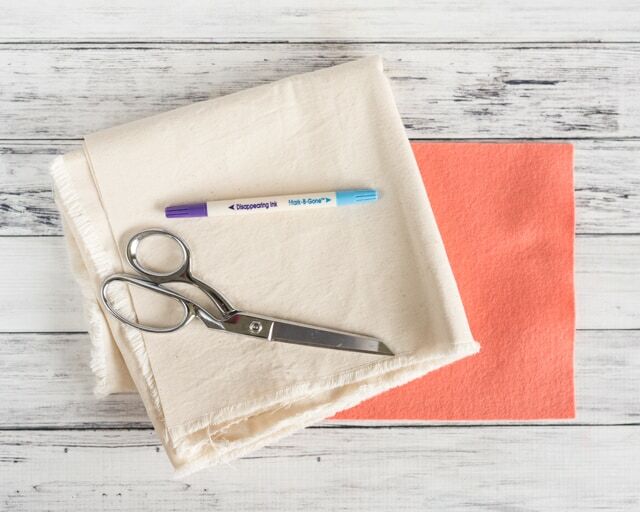 If you can see a bit of your tracing pen/marker on the banner or unicorn – don’t stress! Simply flip the pieces over so the side with visible marks becomes the back. Use Tacky Glue or hot glue to glue your dowel along the top, back edge of your banner. If you’re using hot glue, I suggest working a couple inches at a time. Roll the banner up a little so the cut edge is completely concealed and glue again. 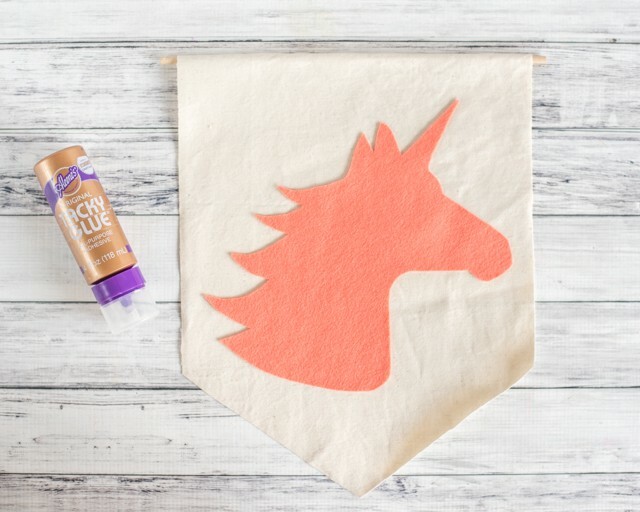 Flip your banner front side up, decide where you’d like your unicorn silhouette, and then glue it in place. Use glue all the way around the edge of the silhouette, but place it a little bit to the “inside” (about 1/8″ or so) to help keep glue from leaking out when you press the silhouette in place. You don’t need to coat the entire inside of the silhouette with glue, but do add a few lines of glue to help hold it in place. Allow your glue to dry completely. I pressed mine under a thick book to help it stay down. Add an extra embellishments, if you’d like. You might want to add pompoms or tassels to the dowel, glue on sequins, or attach flowers. The choice is yours! Cut a piece of ribbon, twine, etc. 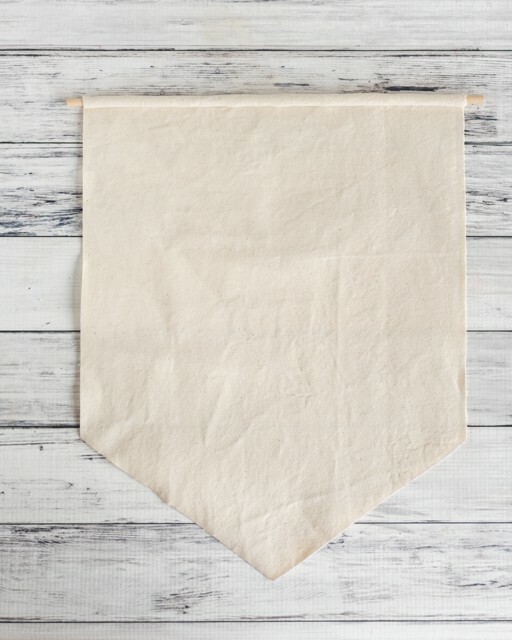 to hang your banner with. 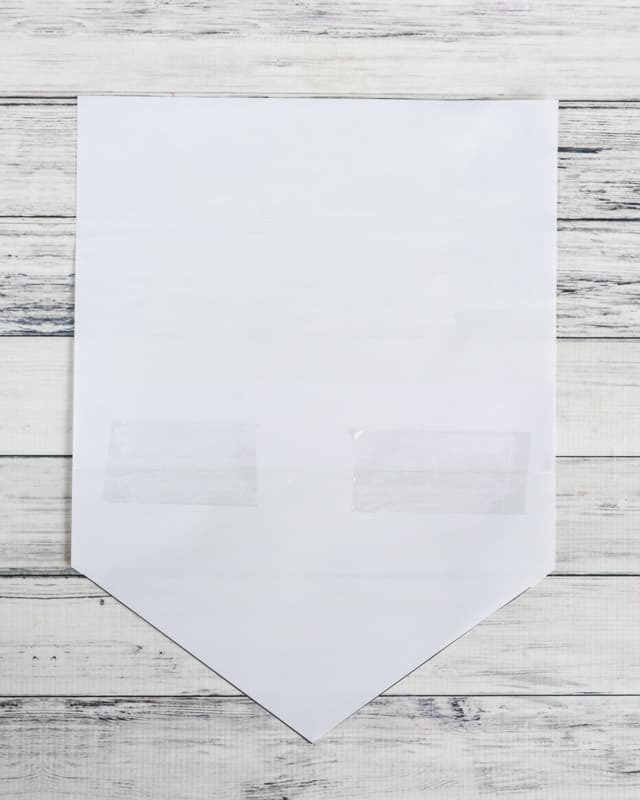 The exact amount you’ll need will depend on how much space you want between the hanging point (nail, hook, etc) for your banner and the top of the banner, but I used about 26″. 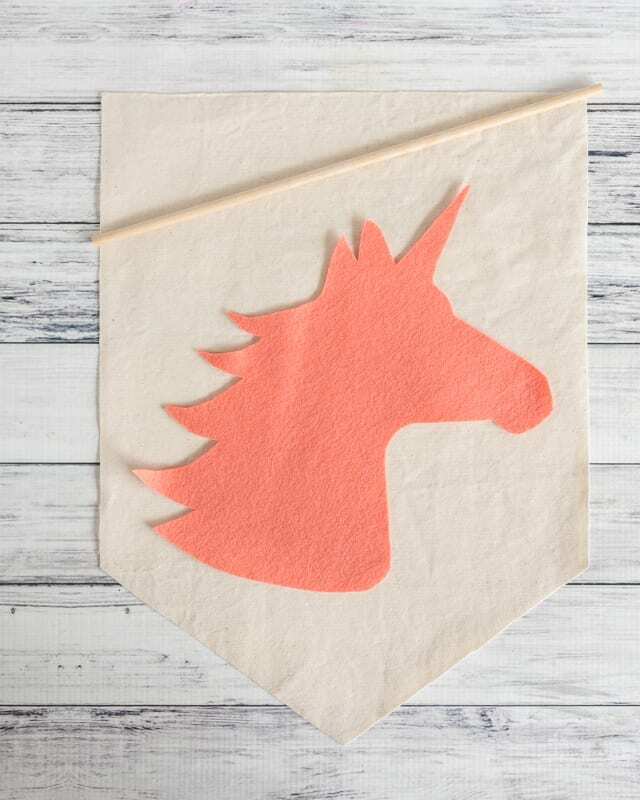 Tie your ribbon onto the dowel and your awesome, easy unicorn banner is ready to hang! 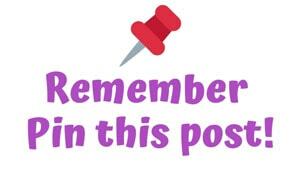 Make sure to Pin this post now so you don’t lose track of it!! 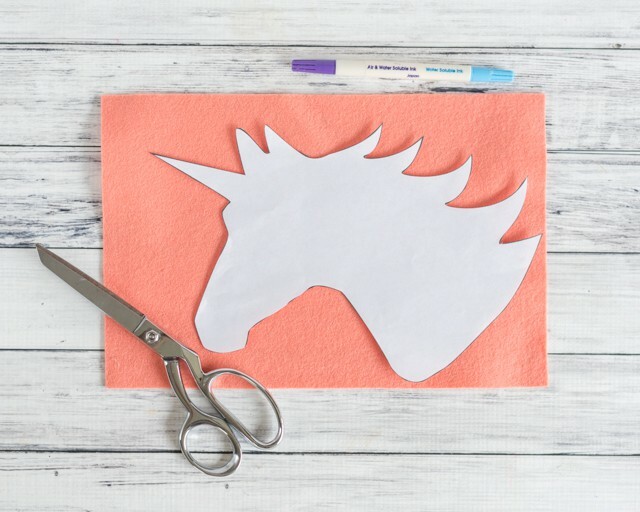 You never know when you’ll want a free printable unicorn template! LOVE!! I’m still very much on the unicorn bandwagon! !